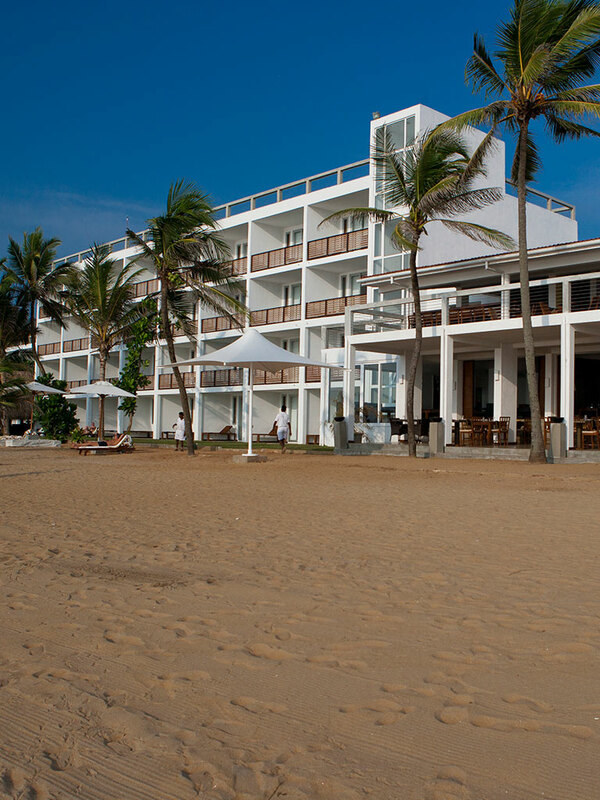 Situated on the coastline of Negombo, Jetwing Sea is a chic seaside resort that reflects a mixture of modern elegance and cosy ambiance. 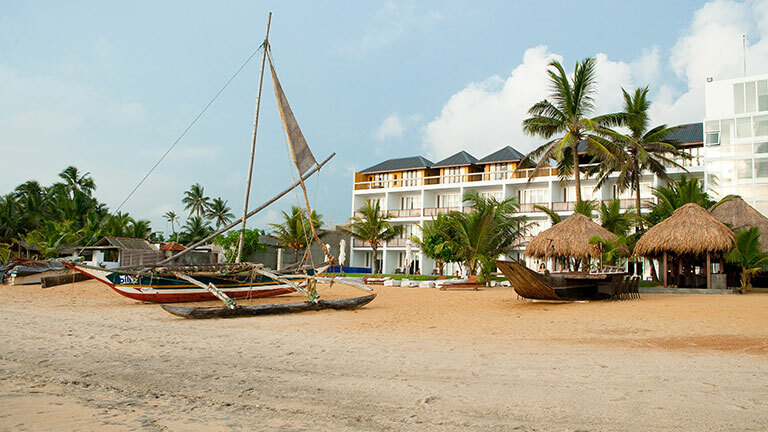 Its excellent location makes it a popular destination for a family holiday or a romantic retreat. 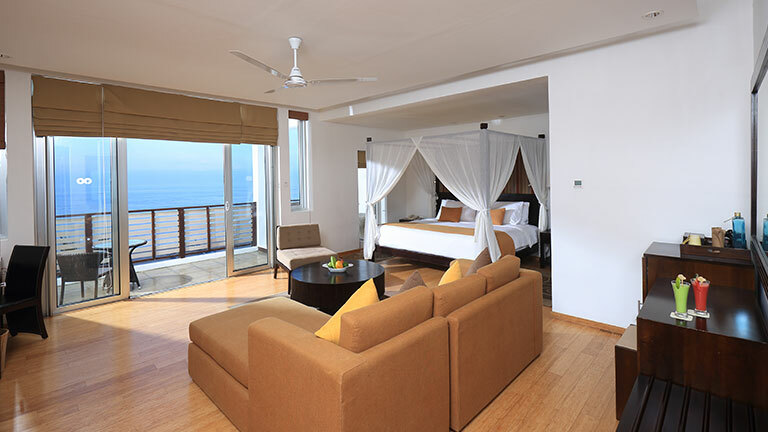 Jetwing Sea offers you the ultimate holiday experience with panoramic ocean views, a golden beach at your doorstep, and a range of in-house comforts and facilities. Allow yourself some pampering at the rooftop spa, tuck into delicious seafood cuisine, relax by the pool or take a dip in the ocean, and enjoy the holiday of a lifetime. One of Jetwing's recently transformed beach properties, Jetwing Sea offers every indulgence you need for a comfortable stay, including: 24-hour room service, laundry and dry cleaning services, babysitting services, jeweller, gymnasium, spa, two swimming pools, and two restaurants and bars. 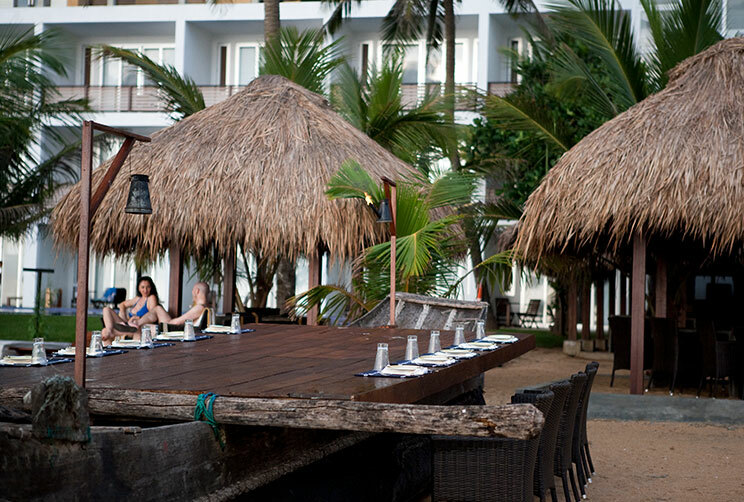 Jetwing Sea has a range of elegant dining options for you to choose from. The spacious main restaurant, Café C, serves a variety of Eastern and Western dishes, and offers the option of indoor or outdoor dining. 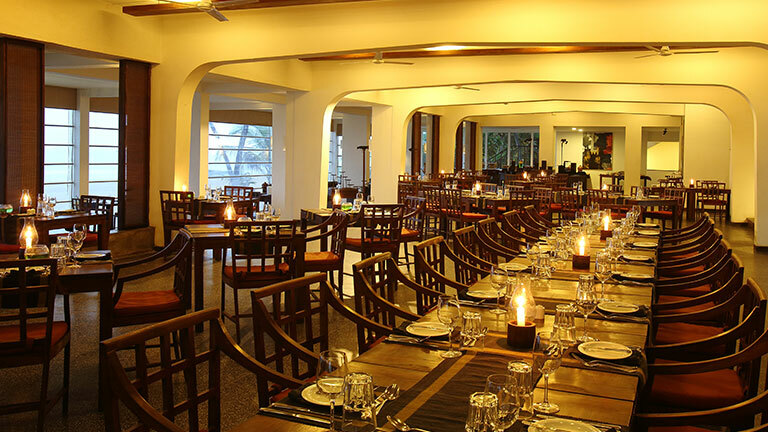 Sample some of the best seafood in Negombo at “The Lellama”, an innovative seaside restaurant which specializes in local delicacies. 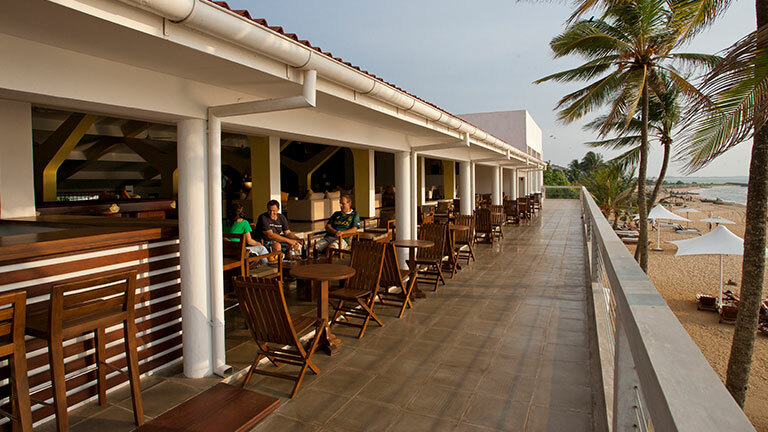 The casual and relaxed atmosphere of the Jetty Bar makes it a great place to enjoy your favourite snacks and drinks, while lobby bar, The Sail, offers you local and international brews and light meals too. Jetwing Sea hosts a variety of on-site facilities to keep active guests happy during their stay, including two swimming pools, beach volleyball, billiards, and a gymnasium. Visit Jetwing Sea's rooftop spa and indulge in a range of treatments which are specially designed to pamper and rejuvenate. Trained therapists will ensure that you receive the very best holistic treatments. 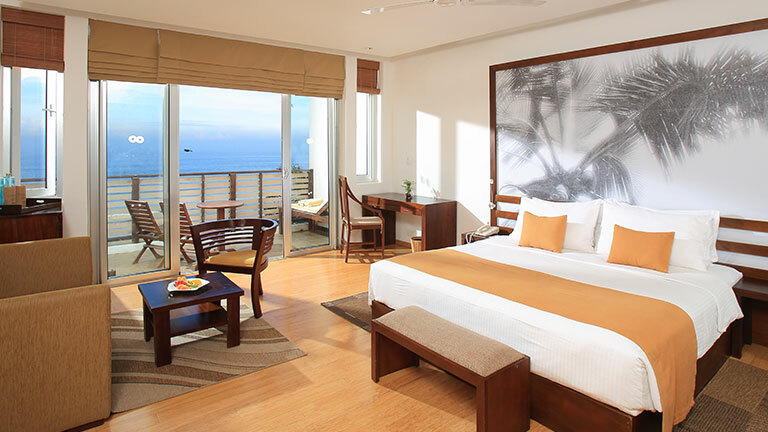 Indulge in the spacious luxury that Jetwing Sea has to offer in the form of 83 rooms and suites. 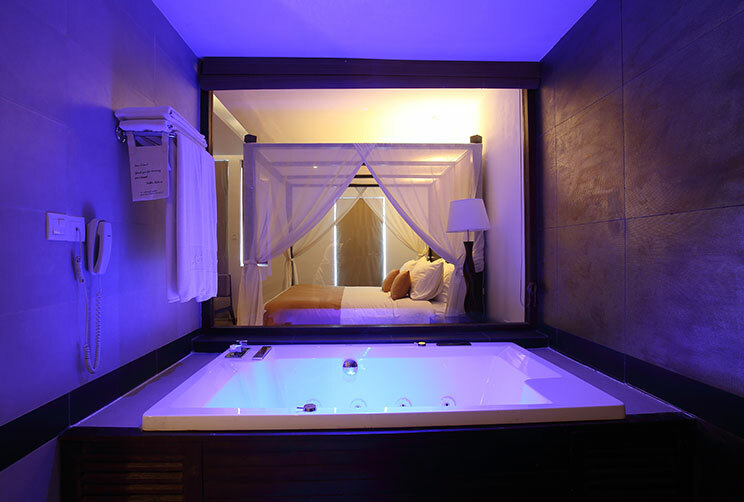 comfortably furnished and tastefully decorated, rooms are designed to provide an atmosphere of serene tranquillity. 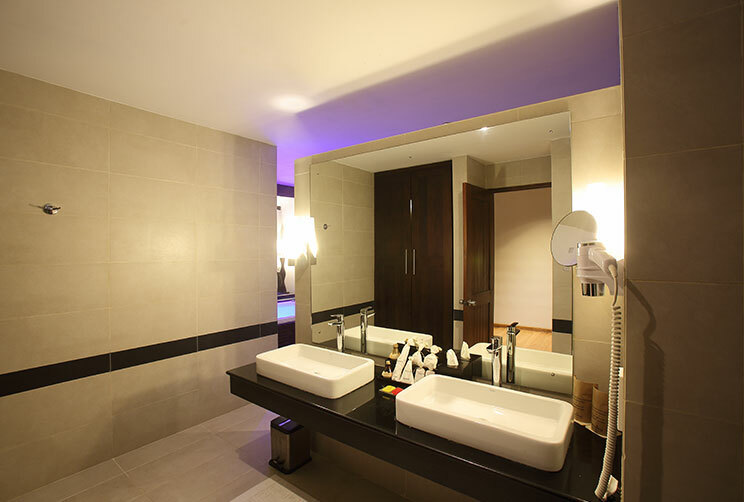 As standard, all rooms include: air-conditioning, bathroom with rain shower enclosure, private terrace or balcony, plasma TV, tea and coffee making facilities, electronic safe, iron and ironing board, and mini bar.